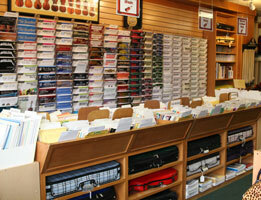 For nearly thirty years, Violin Outlet has been the main provider of sheet music for the Las Vegas string community. We carry an extensive selection of sheet music which includes method books, string repertoire selections, and sheet music for various string ensembles, string orchestra, and full orchestra. We are familiar with the rich and vast string repertoire and can locate any piece currently in print that we do not normally stock. We ship most anywhere in the world. For your convenience we have added a few items that can be purchased online. Please visit the violin music, viola music, cello music, or bass music pages, or categories listed on the right to view our online selection.